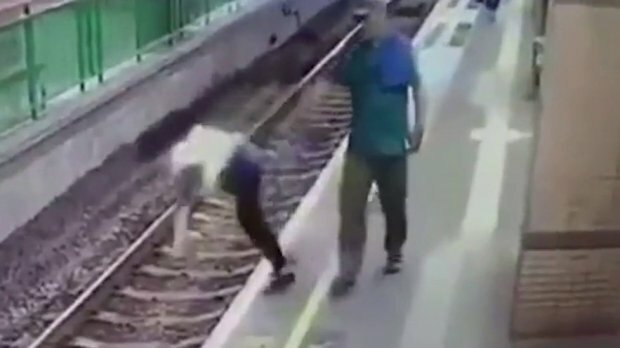 In a shocking incident, a man can be seen pushing a woman casually onto railway tracks and the footage has angered the viewers a lot. The incident took place at Hong Kong’s Yuen Long station and shared widely on social media. 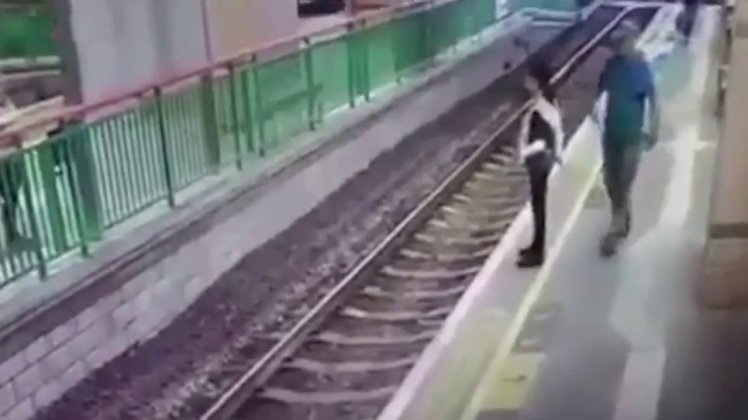 The CCTV footage shows a man approaching the woman as she stands at the edge of the platform, before pushing her onto the tracks. Thankfully, there wasn’t any incoming train then and the woman only suffered some minor injuries to the face and jaw. The woman was waving to a friend standing on the platform across from the woman before shoving her onto the tracks. 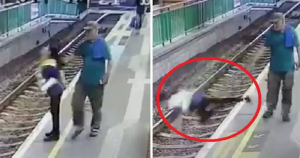 The man, wearing a blue shirt and beige cap, then calmly walks away leaving the woman stranded on tracks. The 59-year-old woman who has been pushed works as a cleaner at the station. After the accident, she was immediately taken to a nearby hospital for treatment. The accused has been arrested for a severe case of assault occasioning actual bodily harm. “The woman suffered injuries to her jaw and was sent to Pok Oi Hospital for treatment,” a police spokeswoman told. The Yuen Long criminal investigation division are investigating the motive behind the attack.